IPL fan park in provides match like environment without visiting the stadium. In these fan parks, cricket fans can enjoy the live match on the giant screen with food, beverages, music along with stadium like a crowd. 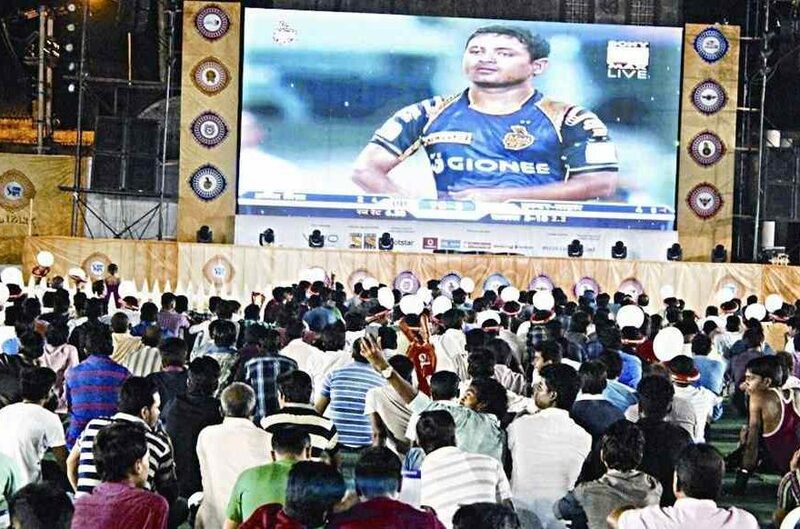 The IPL organizing committee made the concept of Fan parks in the cities where IPL matches are not held so that most of the cricket fans can enjoy the IPL matches on big screens with their friends and family members. In 2017, around 3 lac fans visited these fan park to enjoy the live IPL match on giant screen. We are writing this to educate our visitors about the concept of IPL fan parks, ticket prices, entry timings along with rules and address. IPL organizing committee has developed fan parks in 36 cities of 19 states. They tried to cover many cities in every possible way so that many fans can enjoy these match on the big screen without visiting the stadiums. We are providing the complete list of all cities so that all the IPL fans can gather in maximum number can reach here to enjoy these matches. IPL Fan Park Timings – As per the match, visitors are advised to reach these park before time to grab their favorite seats. Enjoy the IPL in the fan parks with full music. IPL fan parks are set up in 36 cities of India, check the above and find out that your city is listed or not. I hope this list of IPL fan parks 2019 will be useful for those who want to enjoy the match at the big screen with full fun, drinks, food, live music along with the electrifying crowd.